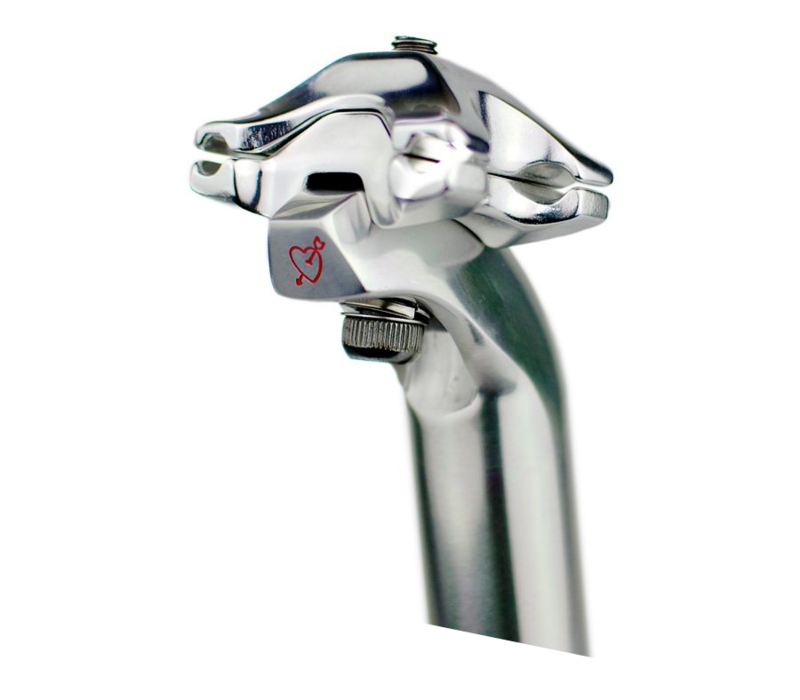 A seat post that you need to choose out of strength, precision, style, shape and etc in order to fit your bike completely might be the only component that shows rider’s selection and taste. NITTO SimWorks “Beatnik Post” passes so many strict examinations and designed by NITTO and SimWorks all together. You can see engraved red cupid heart and white SimWorks logo.